The French expression ‘en faire tout un fromage’ offers up one of those wonderful synchronicities of language. Translation: to raise a fuss about something or, more appropriately, to make a stink. Anyone who has ever experienced the smell of a ripe camembert will surely see the poetic justice in that. There is a reason the cheese stands alone. Les fromages qui puent – the stinky cheeses – is how the French refer to themselves while poking fun at the Sylvester Stallone-inspired Americans on the political satire puppet program, Les Guignols de l’Info. They somehow make the mockery sound like a term of endearment. As Charles de Gaulle himself once said: “How can you govern a country which has two hundred and forty-six varieties of cheese?” In fact, le général rather underestimated his country’s cheese-making capacities – there are over 1,000. Some of my favorites are included in this list of 100 things to enjoy in France. Suffice it to say that you need a strong stomach to live here. And you are well served by not having too delicate a sense of smell. Here’s a video for French speakers (and worth watching even if you don’t speak the language of Molière) that answers the burning question: Which is the stinkiest cheese? I prefer brie to camembert but will eat both – provided they’re not too ripe. (You can tell by the amount of white in the center – if it’s all yellow it’s too far gone for me.) Thanks for weighing in! Boring as I am (sorry) I prefer crumbly cheeses like Cheshire, Lancashire and of course my own Caerphilly. Non pungent, non waxy and not about to get up off the plate and walk away on their own. Eeek! My skin is crawling at the thought….now I know why I avoid it. And you ran a Cheese shop? Most impressed! I love cheese and I do miss the availability you have in France. I can get good cheeses in Canada but I have to go to speciality shops and they aren’t always around the corner like they are in France. It is also a bit more expensive. I do love Camembert despite the strong smell and Brie de Melun which I find smoother than the Brie de Meaux. I like Beaufort, Cantal & Comté as well…The one I haven’t been able to get a taste for is Maroilles the very strong cheese from the North. I do remember that the cost of cheese in Canada – at least when I lived in Toronto – is prohibitive compared to France (along with wine…) But then again, everything else is generally cheaper! 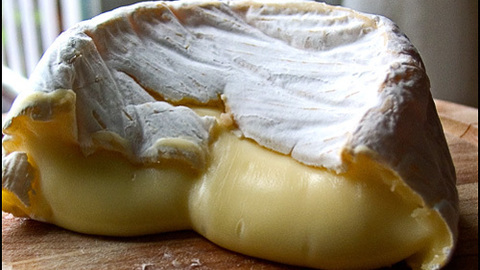 I’m with you on the Beaufort – it’s one of my favorite ‘pâte dure’ cheeses along with conté. But don’t you have any local specialty cheese in Québec? @Suzanne: Unfortunately WP doesn’t let me reply again to your comment but I find it very interesting – did not realize that pasteurizing the milk destroyed so much of the flavour, or that raw milk was even used to make hard cheeses like Comté! Cheers! 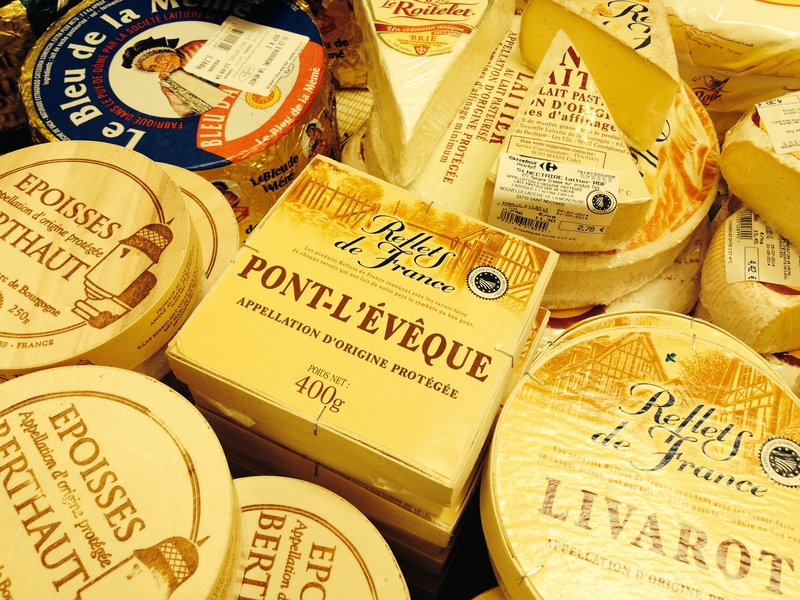 There’s nothing like walking around a French market and inhaling the cheese counter! I’m a sucker for a Banon and love the little goat’s cheeses (from a little goat?). In Australia it’s impossible to get any lait cru cheese apart from Roquefort but that’s beginning to change. They serve cheese here with an aperitif which has never felt right to me. Colin, you do know your cheeses – I had to look Banon one up (and it looks like one to try!) As for cheese served with an apero: of course the French never do this but the Swiss do and I must admit I enjoy it that way. I find it’s hard to make room for much cheese at the end of a meal — and it has a way of staving off hunger that’s far better than most! That’s true. Of course I’m forgetting that you’re in raclette country, too, which is one of those dishes I can only eat about once a year – so heavy (or maybe I just eat too much). Oh, anything blue that will scrape the tartar right off my teeth. I adore cheese. I adore almost all cheeses. I adore cheese but “Smelly feet” cheese makes me faint. It goes by other names, I believe, but that sums it up for me. That’s when you’ve taken something so divine (cheese) and crossed it to the dark side.. No longer a delicacy, it’s devil’s food. That is true. There is a ‘stinky’ side to some cheeses that I can’t get past. But I absolutely love good Italian parmesan and it can have a bit of a ‘foot’ smell!